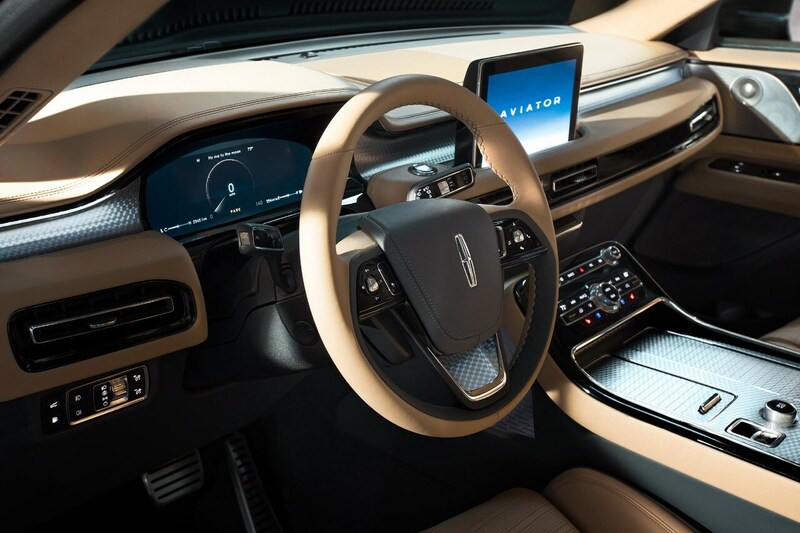 Introducing the Lincoln Aviator, a three-row luxury SUV that elevates the senses. Inside, an open and airy interior awaits to surround drivers and passengers alike with comfort. Elegant lines combined with uncompromised power and seamless acceleration give those the sensation of taking flight and soaring. Reverse Brake Assist for greater confidence. Created to comfort. Detailed to delight.